How Many Keys Can You End Zelda 2 With? 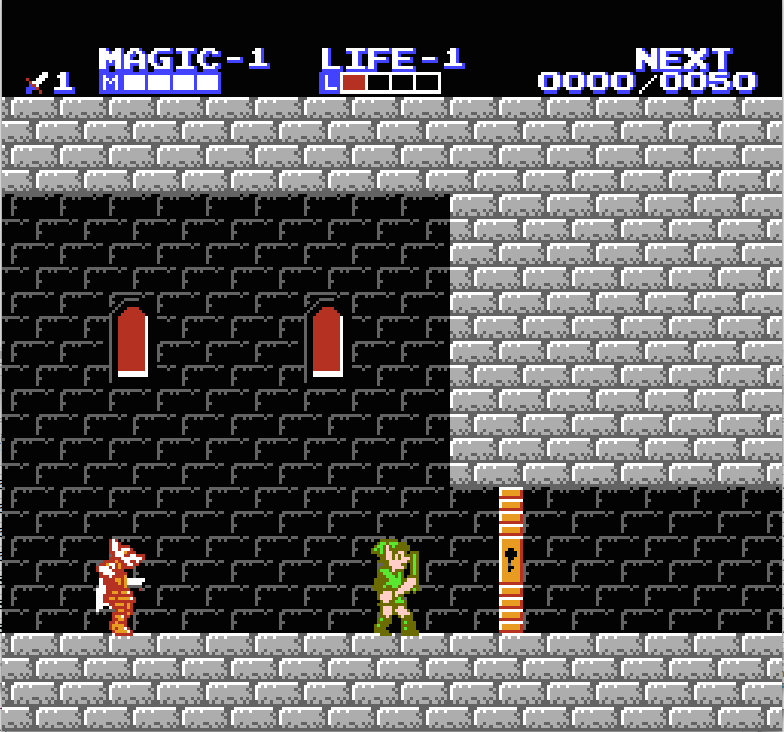 How many keys can you end Zelda 2: The Adventures of Link with? Answer: 24 (or 0)! We’ll get there. There are two loopholes though. In Mido town, you can learn the Fairy spell. With this spell you can turn into a fairy and sneak through keyholes. In new Kasuto, you can get the Magical Key. This lets you unlock any door in any Palace. Once you get this, you just keep any key you acquire and have acquired. The one thing about the Fairy spell is that if you do have a key, it will still use it on the door. Also, you can’t pick up any items while in Fairy mode. Our strategy is to get the Magical Key using as few keys as possible. To advance in Zelda 2, you need to acquire special items that help get rid of natural blockages in the games. Most of these are in Palaces and require keys to get. So we’ll get them in the order that will use the fewest keys and lets us advance through the game. Handy Glove: This let’s you break bricks inside of Palaces. You need it to acquire the raft in the third Palace. The Hammer: This breaks boulders on the world map. You need to get this to acquire the Fairy spell. The Raft: You need this to get the second continent. The Boots: These let you walk on water on the world map. You need these to get to the Palace on the Seas. The Flute: This gets rid of a spider of the world map and makes the Tri-Rock Palace appear. The Magical Key: Our end goal, we can get it as soon as we have the Flute. Now, we just have to spend the fewest keys in each Palace. We’ll map it out below! 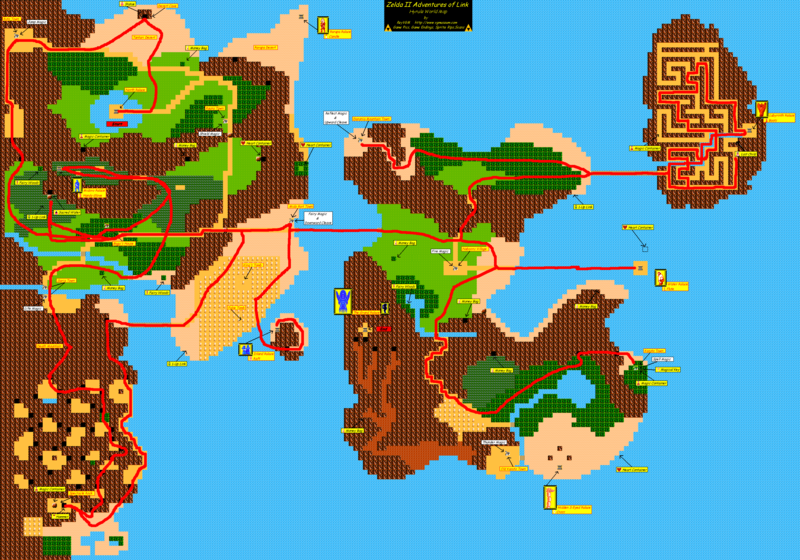 All maps acquired from NintendoMaps, click on each for larger version. In case you wanted the route through the world we’ll take. Obviously some back-pedaling is required. Still, this is the minimum route to get the Magical Key. Good news, the special item in this Palace is the Candle, which is needed to see in caves. This is not strictly required. 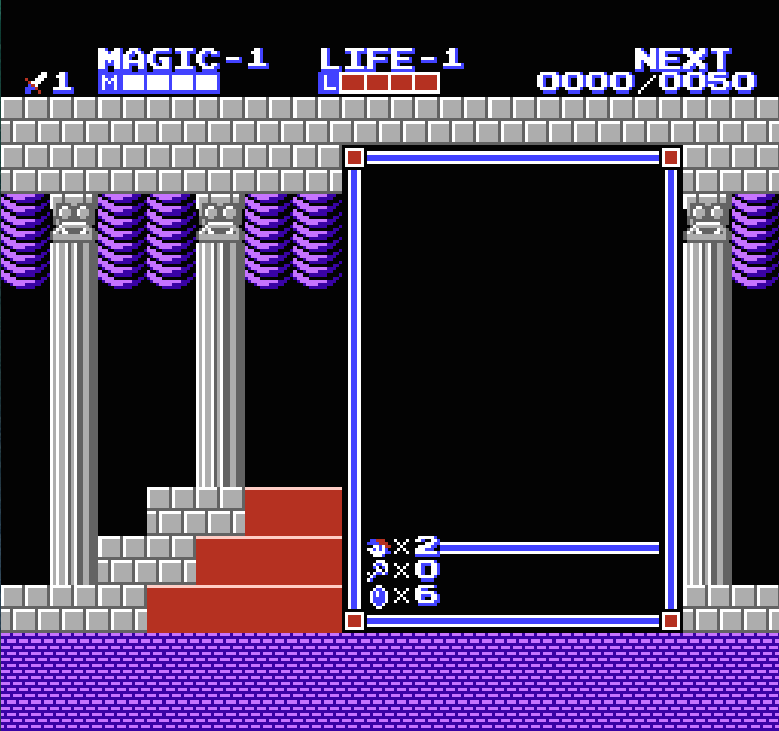 We can just skip this Palace completely and come back with the Magical Key and get all four keys in the Palace. The most obnoxious of the Palaces. To get the Handy Glove requires three keys! As mentioned, you can’t use the Fairy hack to get through a door if you have a key. You also can’t pick up the Handy Glove while in Fairy format. That means you have to grab all the keys required to get to the Handy Glove, which is three. You can leave two keys in the Palace to come back for later. The Island Palace has the Raft, which we need to get to the second continent. Good news, there are only two doors between us and the Raft. 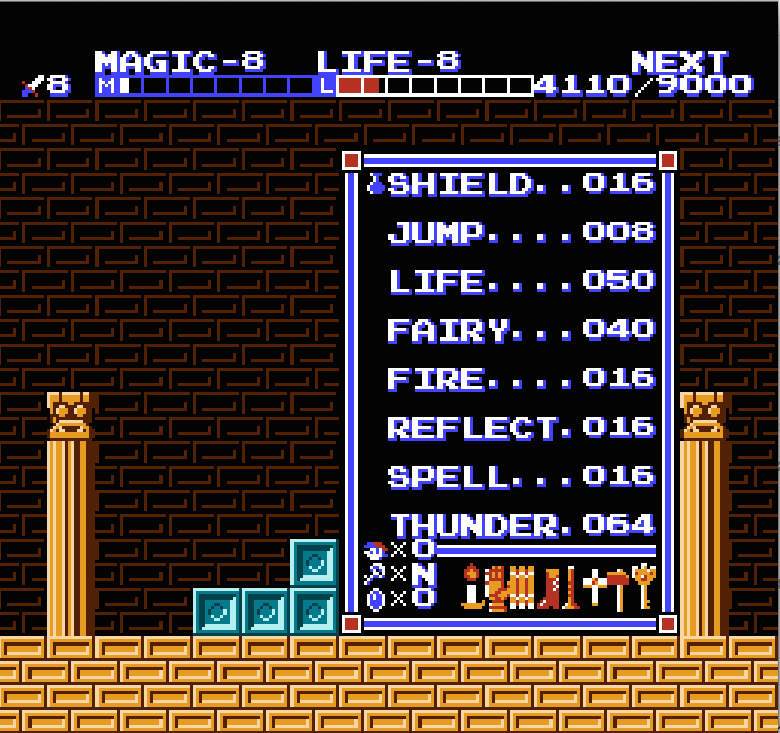 We can use the Fairy trick to get through the first door, and there’s a key waiting before the second door. We need to use the key on the second door, because it’s in the same room as the Raft, so we can’t be in Fairy form. That means when we come back; there will be four keys waiting for us! Score! We need to hit the Maze Palace for the Boots. There’s only one door between us and it. It’s in the same room as the Boots unfortunately. Still, this Palace has seven keys in total. So we spend one key to grab the Boots, and there will be six waiting for us when we return! We just need to grab the Flute before we’re done with our quest for the Magical Key. There are three doors in our way. We can use the Fairy trick on one. 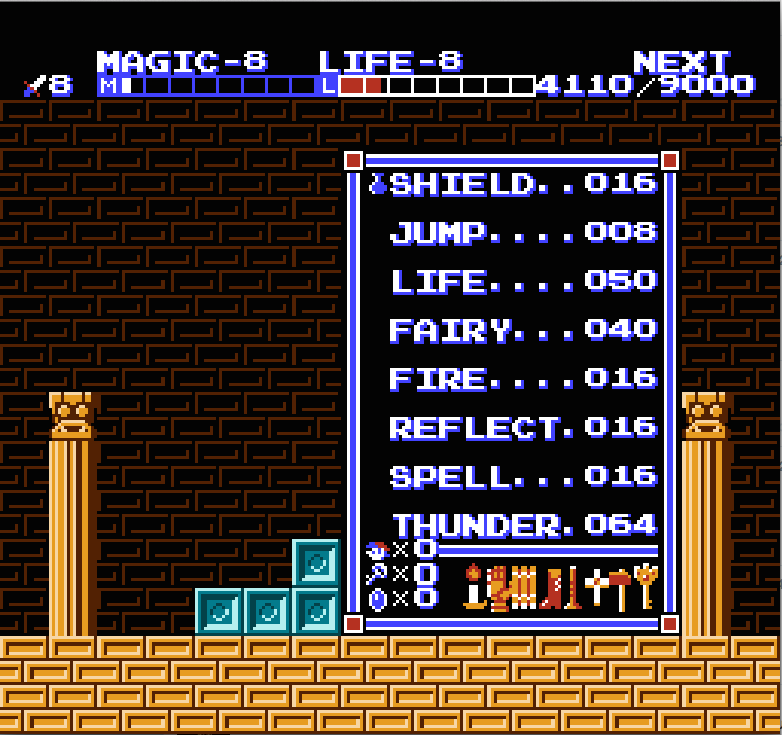 Be sure not to pick up the first key though, because even in Fairy form, Link will use a key on a door if he can. We have no choice but to use two keys on the remaining doors. The first is because there are no keys before the last door. The second is the classic problem that the Flute is in the same room as a door. We leave four keys waiting for our return though. This Palace requires you have the Magical Key to traverse. However, there are actually three keys you can pick up. I’m not sure if the level was redesigned, or if it is just legacy code — bosses tend to drop a key, there are three bosses in this Palace. You acquire the keys just by solving the Palace. The Thunderbird, the second to last boss in the game, drops a key. It’s the last key in the game. Good game! There is only one character for the number of keys. After you hit nine keys it starts using letters. A = 10, B = 11, etc. Guess what happens when you hit 24? The letter O! Now, it does look different than the 0s. Here’s what 0 keys looks like below. Still here’s an image of Link with “N” keys right before grabbing the last one. Even ending with “O” keys is impressive. As I mentioned the Three-Eye Rock Palace and Great Palace both have bosses that drop keys. If you pick up every key you see, you would normally finish the game with 4 keys. Anyway, 24 superfluous keys! They’re not worth anything but bragging rights. So I’m cashing em in. This entry was posted in Uncategorized and tagged Nintendo, Zelda on September 30, 2014 by dre.